The government program in support of domestic manufacturers (the DMs) has been working in Kazakhstan for quite a long time. It was adopted due to objective reasons – for a certain period of time the country experienced fairly loud echoes of the world economic crisis. It is difficult to say that the crisis has dropped into oblivion, because it is a systematic process. Especially , in addition to the crisis producers of goods and services in Kazakhstan meets other challenges in current conditions - that is both the establishment of the Single Economic Space and, most likely, the imminent compliance to the WTO. In this situation, the DMs are in the severe competition environment. EP KMG informed “about signing of a supplement to the following contracts: No.37 oilfield Kenbay; No.61 oilfield South-East Novobogatinskoye; No.211 oilfield Botakhan, Makat, Dossor, Tanatar, Kamyshitovoye and etc. - totally 23 oilfields; No.413 oilfield Prorva, Kulsary, Karaton, Koschagyl and etc. - totally 15 oilfields; No.327 oilfield Taysogan; No.992 oilfield Novobogatinskoye Western”. According to the document this supplement was concluded between the Ministry of oil and gas of the RK, JSC EP KazMunayGas and JSC Embamunaygas. Experts at ExxonMobil and legendary automaker Porche team up to make the best motor oil for the one of the best cars in the world. Finally, Kazakhstan used its priority rights to purchase an 8.4% share in Kashagan field, previously owned by ConocoPhillips. Its share in the world's largest oil and gas project, the US Company will sell to JSC NC KazMunayGaz(KMG) for $ 5 billion. The deal will be completed in the fourth quarter of 2013. – Let us start with a particular example. In the spring of this year, a Norwegian company - Statoil, announced the departure of Kazakhstan. Having withdrawn Abai project, it chose Azerbaijan and signed a Memorandum of Understanding with the State Oil Company of Azerbaijan Republic in respect to Zafar and Mashal structures in the Azerbaijani sector of the Caspian Sea. During the meeting on outcomes of 2013 Turnaround TCO Plant Facilities Group Management has recognized Sour Gas Injection (SGI) team for accurate, safe and quality work that they have accomplished ahead of schedule. Special recognition was given to Kosbol Alashbayev, SGI Turnaround Coordinator. The area of Western Kazakhstan where we work is remote and rural. With the discovery and development of Karachaganak, the closest town, Aksai, has developed from a small farming community to one dominated by the oil and gas industry and today has a population of around 35,000 as well as nine surrounding villages with a total population of about 5,500. Zirax Company is one of the global leaders in the oil chemistry market. Over the last 5 years the company managed to introduce fundamental changes in the view of many local and foreign operators on hydrocarbon production regarding the possibilities and efficiency of the applied salt systems for oil and gas well plugging. Dongying Guangxing Petroleum Equipment Co.,Ltd is located at Guangxing Street No.127 in Dongying Kenli Economic Development zone. It is a new and modern enterprise strongly supported by two important strategies National Developent Plan for High-efficiency Ecological Economic Zone of the Yellow River Delta and Shandong Peninsula Blue Economic Zone Development Plan. Step Oiltools, a supplier of specialty equipment for drilling rigs and drilling operations, considers the Kazakhstan market as one of the most promising areas for business development. 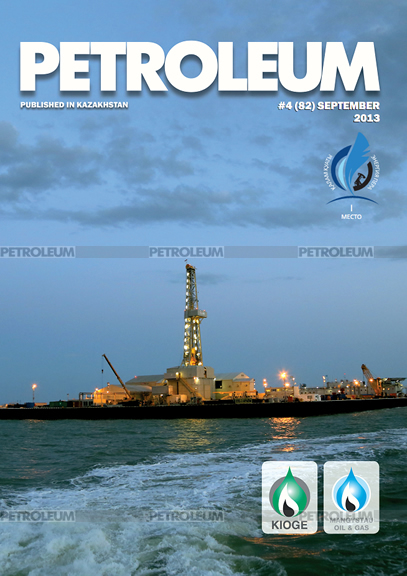 David Carswell, General Director, answered the questions for the Petroleum Magazine. For more than nine years, the oil-producing enterprises of Kazakhstan operate the equipment, produced by the JSC НMS Neftemach (a part of HMS Group). All these years the HMS Neftemash is a stable supplier of equipment for the large and medium-sized oil companies in Kazakhstan. -Mr Volkov, two years ago you’re already familiar to the readers of the Petroleum magazine with your enterprise, and hose interested we invite to read your interview- “Leader of new technologies”, published in the October issue of the magazine as of the year 2011. KMC Technologiyasy LLP. is one of the leading national consulting and service companies in the oil and gas (O&G) market of Kazakhstan. KMC Technologiyasy has been widely present in the O&G industry of Kazakhstan since 2004. It specializes in engineering and supervising services in drilling, workover, mentoring the whole cycle of a well maintenance, as well as in delivering full package of cementing options. “We Make the World Clean!”– that is how the motto of the Sorbent company sounds. This goal has remained unchanged for almost 75 years now. In August 1939 the enterprise was established on the basis of only one workshop which produced pelleted wood-based activated carbon. Nowadays Sorbent OJSC produces more than 35 brand names of activated carbons based on charcoals, mineral carbon coals, coking coals. Thuraya Telecommunications Company, a leading Mobile Satellite Services operator improved its service and solutions in Kazakhstan market through the help O’PLUS TELECOM company, Thuraya’s Offical Gold Service provider in KZ. During our recent interview with Tanat Rahimberdiyev (O’PLUS TELECOM Managing Director)and Nabil Ben Soussia (O’PLUS TELECOM Group Regional Director) they briefly informed us regarding the following changes that will transpire with Thuraya’s services and solutions. The notion of brand became a part of our lives. This word is used for the products and goods, proven by years of irreproachable service. Therefore, saying about the brand for the oilmen (and not only for them), its worth mentioning KAMAZ, popular in the former-USSR countries. The history attributes the classic phrase “who owns information - owns the world” to the famous man Rothschild Natan. However, in the 21st century, in addition to being informed, the critical advantage is the speed of its transmission. Twenty years ago, in the independent Kazakhstan the autonomous economy had been recovered, and the banking systems had developed, a team of specialists formed the Arna Sprint Data Communications company in the field of communication. Young talented engineers, who were able to forsee to the future, aimed to build the first of its kind firm in the country history, a data network on a national scale. Today, after 20 years, it is safe to mention that all the plans and objectives have been fulfilled with the help of energy, assurance of success and creativity. This year the leader in domestic stationery business – JSC ABDI Company – is 19 years. By starting its business in September 1994, today ABDI has a wide service network in 19 large towns of Kazakhstan. The company is successfully running 42 supermarkets among which are several large hypermarkets.